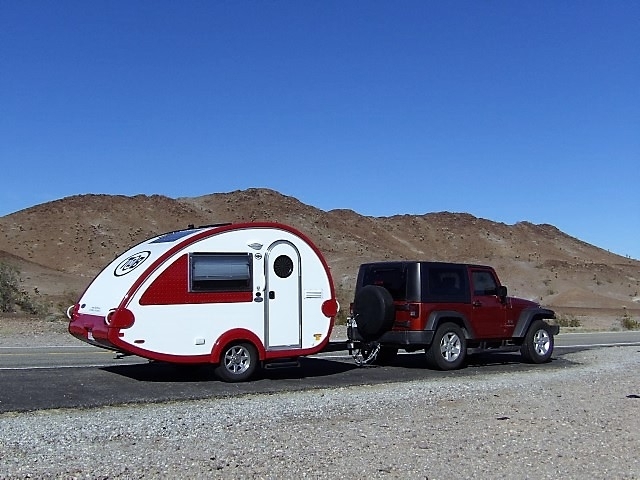 Before purchasing our [email protected] I searched for hours upon hours for anyone towing these with a 2dr Jeep Wrangler. I was able to find VERY little info on people doing it, so wanted to throw in my 2 cents for others in my shoes. 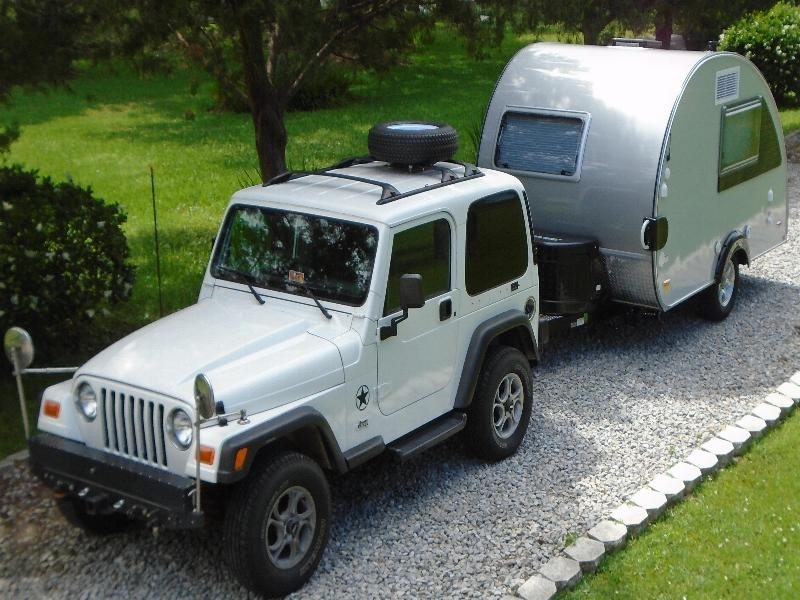 Tow rating is 2000 lbs and I was concerned once we had it loaded with gear if it would be too much for the jeep to handle. Would it sway? Would the short wheelbase cause me to highjack? Would it pull it up a hill? Could it stop coming down a hill?? Good news... the Jeep does just fine! I do not have an anti-sway hitch & got no sway even at speeds of 65+ mph. Pulling up the Appalachian mountains was a breeze with no overheating and an automatic transmission. Stopping with a electronic brake controller installed seems to be ok as long as I stay alert and get off the gas as soon as I see brake lights. It does bounce a little just to let you know it's there on poorly paved roads, but on smooth roads at times I will forget it's there. 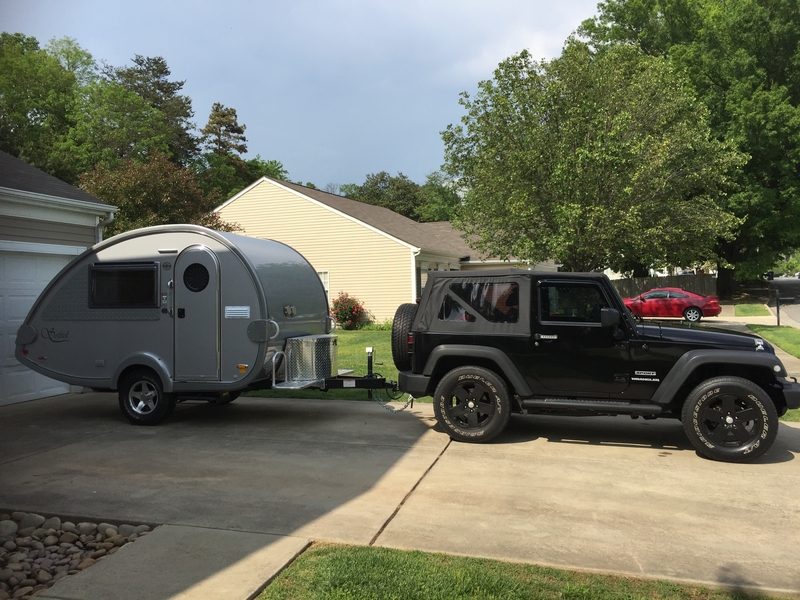 All in all I am very impressed with how it tows and would recommend to any fellow jeepers out there looking for an awesome camper. 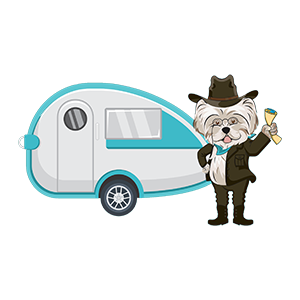 2016 [email protected] silver Sofitel/Outback combo, 2012 Jeep Wrangler Sport TV, Kernersville N.C.
@MrAmazon thanks for the report! What year is your JK? I miss my JKU! That's a nice set up! I don't take nearly that many sockets with me, but I sure am trying to figure out how to do this in the passenger side bench storage area for the tools I do take. Great idea! 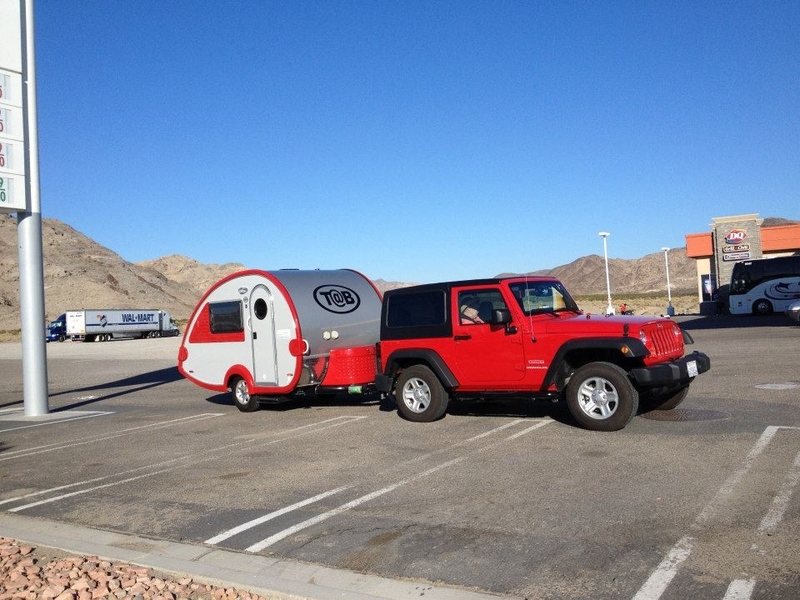 I tow our 2013 [email protected] S with our 2012 Jeep Wrangler Sport 2 door with no problem. 2015 Jeep Cherokee tow Vehicle. 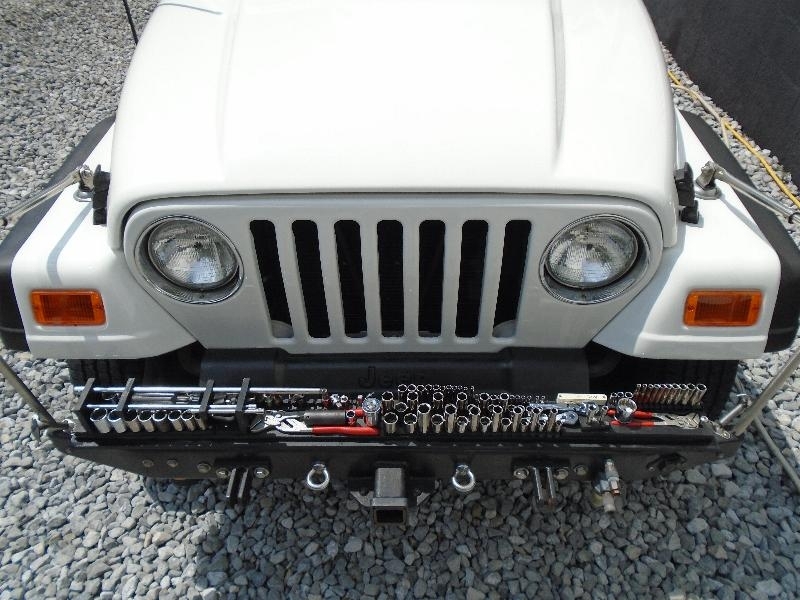 I bought mine specifically for use with my 2011 JK, and it worked fine. We recently (last fall) bought a different tow vehicle, but I loved the JK / Tab combo. LOCATION: Fort Raccoon; UNIT: 2014 [email protected] S [email protected]; MISSION: To have fun, make a difference, and make some friends along the way. Organ Donor Recipient- forever grateful. 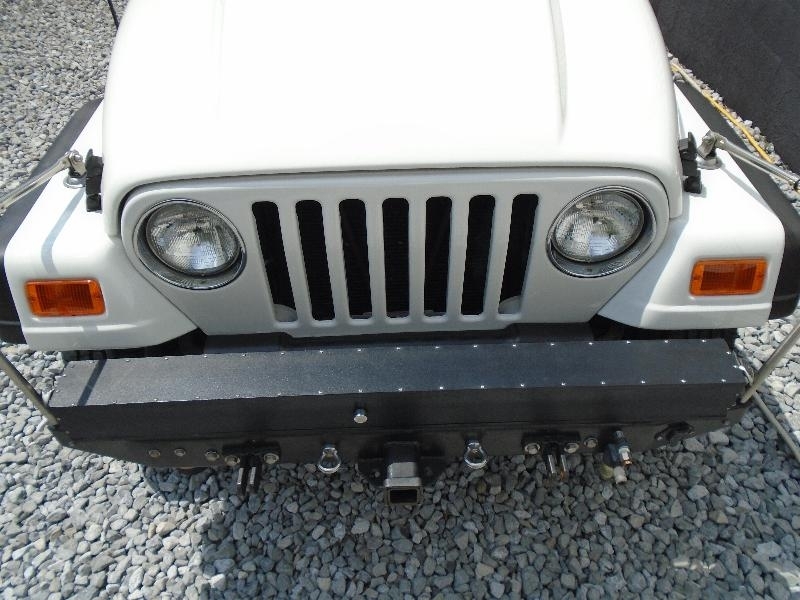 Jenn- just came across a few pics of your old JKU... Why in the world did you get rid of it?? In my opinion it doesn't get any better than the set up you had! Was that a Gobi roof rack?? This is from my trip out west last year with one of my sons. I jave to tell you, this was awesome. 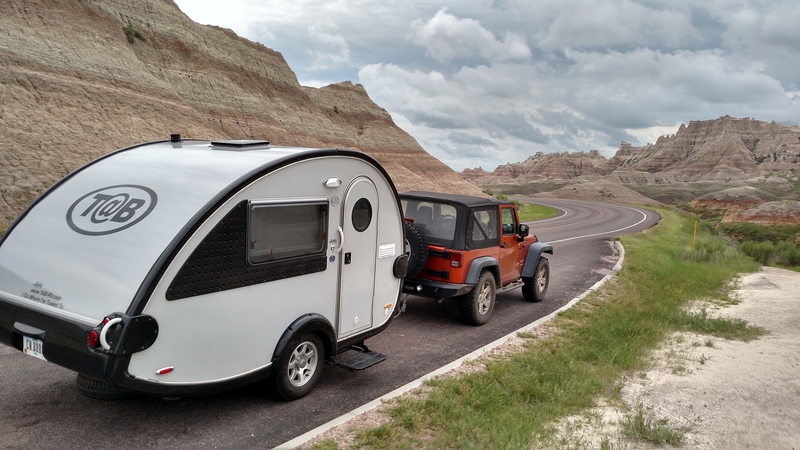 Great adventure rig. 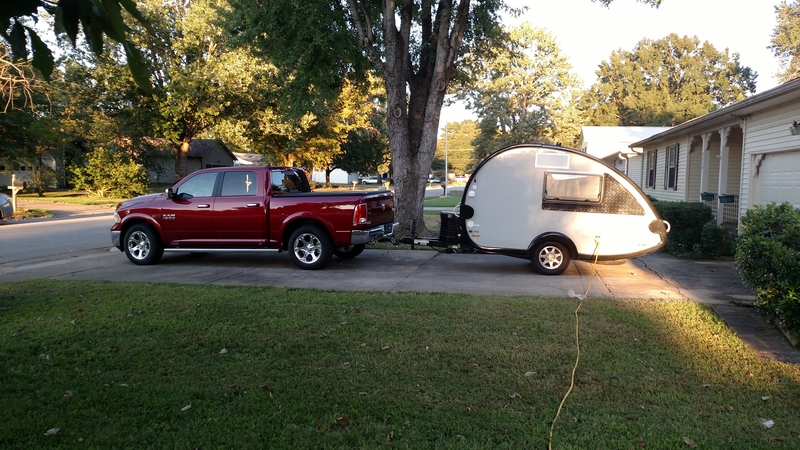 Here is my 2009 Wangler -- No problems towing Through mountains up to 9800 feet this last summer and this winter/spring -- visited/camped in 10 states at last count . @pcaddy Very nice-looking combo there! @MrAmazon - I know! I know! (wipes tears from her face.) I originally had a RTT on the Gobi Stealth rack. First, it was a 2011. I had no mechanical problems with it, but drive across the country every year and don't like to take older vehicles because at some point you start having problems. Second, gas mileage. The 2011 JKU's got awful mileage. 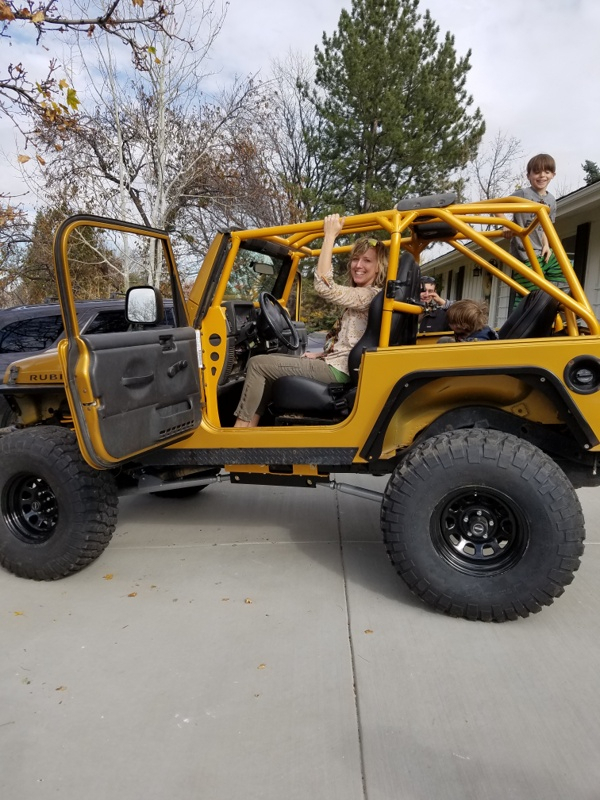 Add a Gobi Stealth roof rack, a Rugged Ridge bumper, and a winch, and then tow a [email protected] and it is pretty horrendous. I could have taken all of the extras off, but what fun is that and it still would not have been great gas mileage. Cross country trips were brutal. Third, I really wanted some of the newer safety features: blind spot detection and rear camera and obstacle detection. It does not replace due diligence, but it is the next best thing, and in some cases, better, than having a passenger in the vehicle with you. Fourth, most of my off road travel is done in the west. Up until this year, that meant it really only got a little over 2 weeks per year of rugged use. I talked to another local Jeep owner in the same boat. 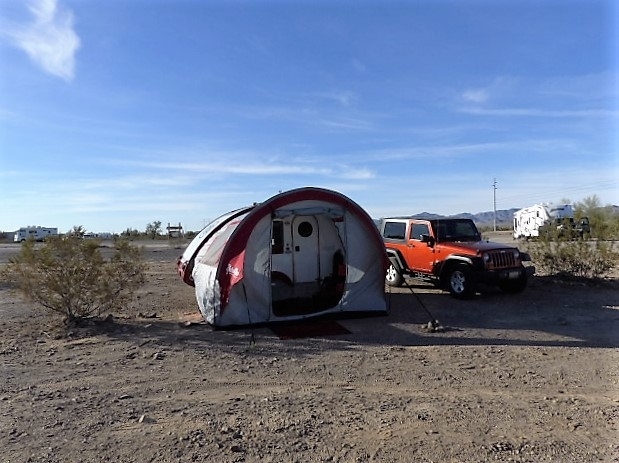 I also realized there was a limit to where I was willing to go, because if you drove across country in your Jeep, you had to drive it back home and I wasn't willing to get in over my head and jeopardize costly repairs on vacation. The most difficult of a trail I ever drove was the Alpine Loop from Ouray to Silverton. I should be able to take that on in my WK2. I don't see me driving anything more difficult than that. By the time I have to replace this, the newer JKU's with better fuel efficiency will be out and the bugs worked out of them and I might go back. But, the Grand Cherokee (WK2) Overland with OR2 package is more capable than I initially thought. The air suspension and removing the front fascia gives you a lot more clearance that you see driving around the mall. I also like that the advanced electronics make it a lot tougher to do something really stupid to your vehicle. Hey, Jeepers- just in case if anyone wants a lift kit for a 2011 JK Wrangler, I have a Teraflex 2.5 coil / Bilstein lift kit I never installed prior to trading in my Wrangler. Truth is, though- I think I'm saving it for the next one. Gotta love Jeeps- the dealer gave me $4k less than i paid for mine 4 years and 65,000 miles before. Hey Jen, Art, looking to replace my daily beater (99 Jeep 4dr Sport, 6spd man.) TV, but holding out for the 4dr PU that's coming out....fingers crossed. 2014 Wrangler Sahara & 99 Jeep 4dr Sport TV. 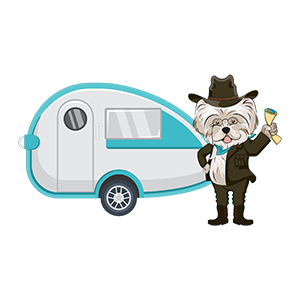 Interests are Photography, fishing & rod building, woodworking, hotrods (73VW rat rod "DasStuka") and Camping. I held out for about a year. It was one of those if the right deal came along, and it did. I feel like I have, "middle-aged woman in soccer mom SUV" stamped across the rear window sometimes, and I don't even have kids! Ha! I do miss the waves! I think FCA has realized the value of the Wrangler brand and I only see them investing in it so I may get to come back. They have been dangling the diesel carrot out in front of JK owners for far too long. They need to cash in on it. Yeah, but we want diesel Jeeps! Diesel Jeep will be my next vehicle! Me too Amazon........I just hope they get it right! My TV is a 2012 JKU. In the garage is my 2016 JK Willys. That is my 8th Jeep. Started out with a CJ-7. I think I need help. But when in my firecracker red Willys I'm such a cool old geezer. Scott, Orange Park, Florida...2012 Jeep Wrangler Unlimited Sahara... 2015 [email protected] S Maxx "Buttercup". I vote for a Banks sidewinder intercooled Turbo Kit!